We're excited to announce a new column on the SZ Blog: "Ask SZ." We’ll be addressing questions from all across the industries we work in -- architecture, build, design, art, and marketing -- along with any more that may arise. And we welcome you to throw your questions into the ring! 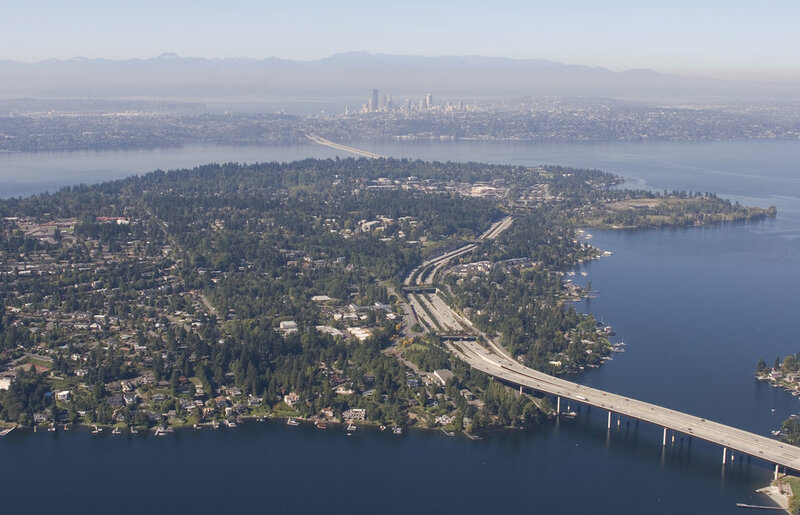 For this post, we're fielding some questions from a Mercer Island resident who asked us, "What do you think of the new Mercer Island residential code changes? Is this going to affect my ability to do remodels or renovations on my home? What do architects and general contractors think of these changes?" You will always need a permit to remove a tree over 10". Developers are required to retain 30% of the existing trees over 10" on a lot. Homeowners are not required to retain trees but must replant trees if the trees they are removing is over 10". The city also allows a fee be paid to the Mercer Island tree fund instead of replanting trees. SZ: This code change will help keep Mercer Island green protect old growth from being removed carelessly. It will impact how homes are designed in order save existing trees, but this should not prevent any construction or the tree removal of a hazardous tree. As an architect, this code adds another factor to consider when designing a remodel or addition, but has more advantages then disadvantages when considering the overall appearance of Mercer Island. Side yard setbacks are to = 15' total or 17% of the lot width whichever is more. A wall of greater than 15 feet must be set back a minimum of 7.5' from the side property line. A wall of greater than 25 feel must be set back a minimum of 10' from the side property line. SZ: Widening the side yard setbacks on a property is challenging for additions or remodels because it can lead to less desirable solutions if an existing wall is too close to the side yard. This code change most negatively effects new construction and future additions or alterations of two story homes on narrow lots. As an architect, I think this code is helpful in keeping Mercer Island's residential areas open and the houses a safe distance from each other. An update height limit of 17' from average grade has been added to minimize visual size of DAB. Detached accessory buildings are limited to a gross floor area of 25% of the total gross floor area allowed on a lot. SZ: This code is designed to keep the visual focus on the main building rather than the accessory building. Lowering the height limit and keeping the gross floor area smaller than the main house prevents the development of oversize garages and detached accessory dwelling units. As an architect, I find this code can be helpful in ensuring legal use of a residential property, though it can also limit the flexibility of an accessory building. Shorter construction hours to match construction hours allowed by other Washington cities. Permits are only valid for 2 years unless an extension is applied for to minimize long construction schedules. SZ: The goal of these changes is to keep construction from taking years longer than necessary and respond to noise complaints from Mercer Island residents. This code change is to the advantage of Mercer Island properties neighboring a construction site in that it will keep the noise to typical work hours. I am in favor of this code as a homeowner; however, as a general contractor, I find this code can hinder the progress of projects under a tight deadline. Houses on sloped lots have an updated max building height of 30' from downhill facade to minimize view blockage and over-sized homes for the neighborhood. SZ: While this can be challenging for remodels and additions on heavily sloped lots, it helps keep new construction homes on sloped lots from building too tall and blocking existing residences views. All deviation have been removed. Lots are limited to a maximum lot coverage of 40% with an additional 9% for hardscape excluding hardscapes for vehicular use. SZ: Lot coverage is a constant battle in the residential design world. This code change could prevent or substantially limit the ability for some homeowners to add on to their existing home, but the additional 9% for hardscape could help offset some of its negative effects on construction. In addition to the gross floor area reduction a cap has been added per zoning classification to minimize over-sized homes being build through lot merging in Mercer Island neighborhoods. In the lots listed above, the owners will have to keep their gross floor area below the stated cap for that zone despite the 40% allowing a much greater gross floor area. Some of these lots may have existing homes that conform to the original 45% gross floor area maximum, will now be considered non-conforming. SZ: In general I am in favor of this code change as it keeps people from monopolizing on Mercer Island property to build over-sized homes on over-sized lots for their zoning. As an architect, I work to maximize a home's livable space through good space planning rather than bloating the floor plate. if these code changes are implemented correctly, it will help promote good architectural and site design. What would you like to learn more about? Write us at info@suzannezahr.com or leave a comment below!